Ships tomorrow if you order in the next 18 hours 37 minutes. 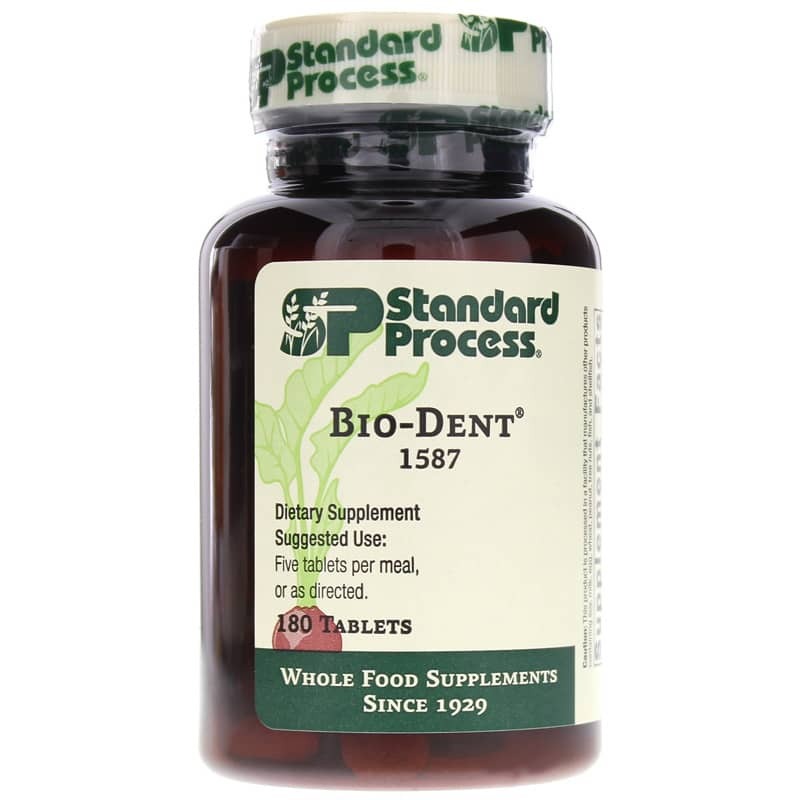 Bio-Dent provides by Standard Process contains synergistic ingredients to support cell function and a healthy skeletal system. 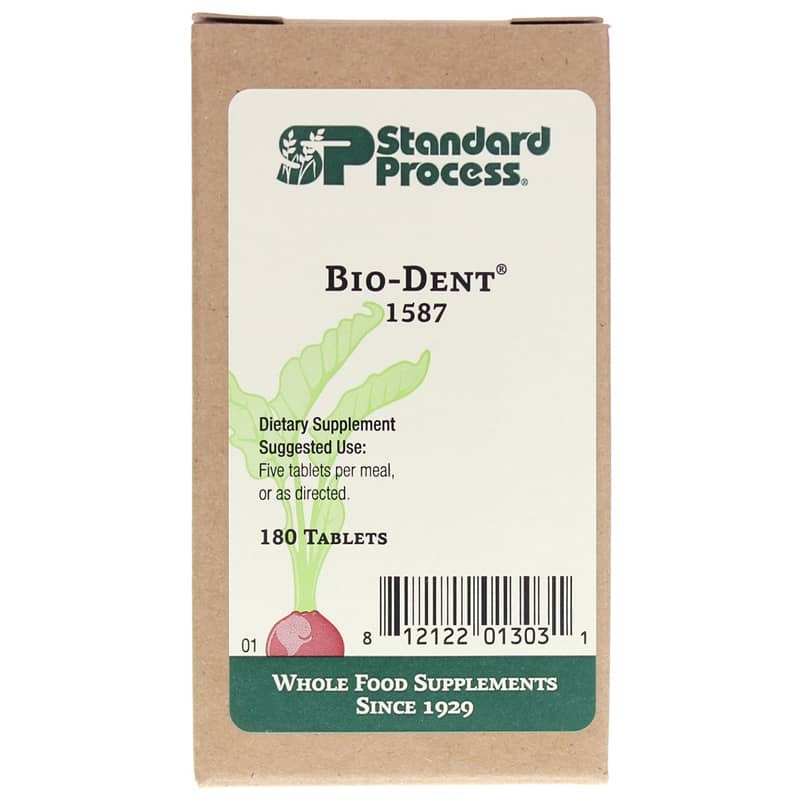 ---Defatted wheat (germ), carrot (root), bovine adrenal, bovine spleen, ovine spleen, sweet potato, licorice (root), and rice (bran). 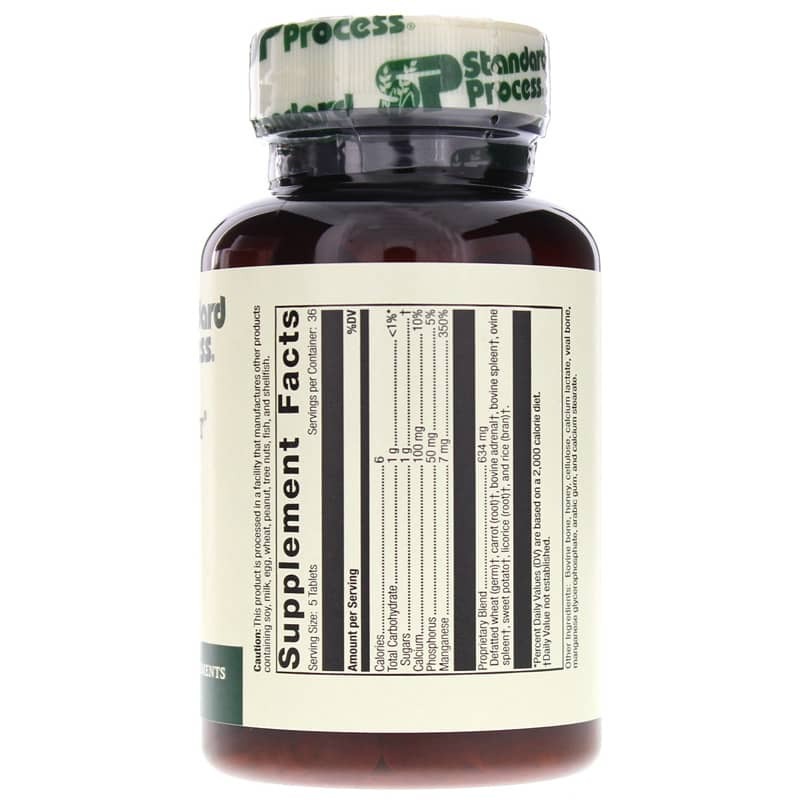 Other Ingredients: Bovine bone, honey, cellulose, calcium lactate, veal bone, manganese glycerophosphate, arabic gum, and calcium stearate. Adults: Take 5 tablets per meal or as recommended by a healthcare professional.